Mysticons are a team of four warrior girls who have teamed up to find a book called Codex. In addition, they protect the Kingdom of Gemina and Drake City from the forces of evil. Here they have such a big task. Therefore, they need to be strong and dexterous. Each girl has a unique character and is able to stand up for themselves. For example, Zarya perfectly defeats enemies using a bow. 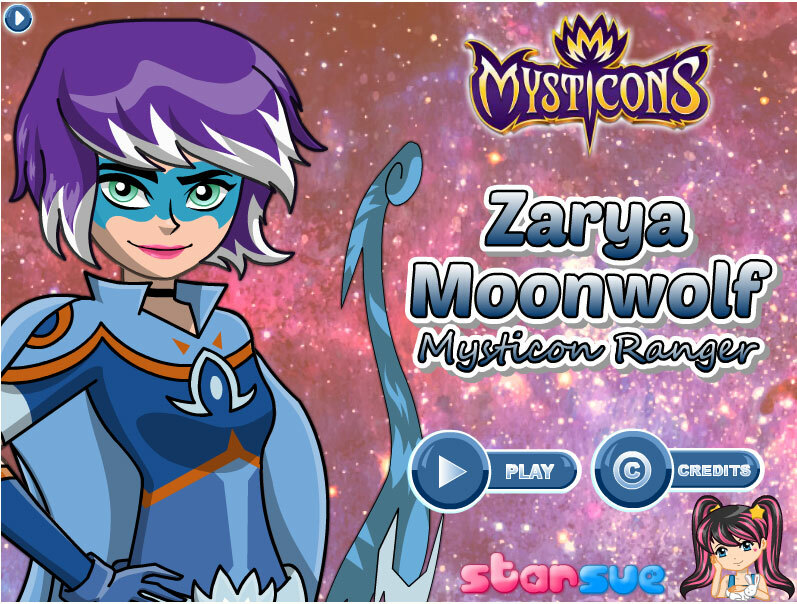 In this game you can create a new image for Zarya and make it even more stylish. You can change clothes, hair, and even weapons. Played: 3096. Added: 12-10-2018, 09:15.